Those who want to try Chromebook, had a chance to tried it. Unfortunately, this is limited only to passengers who use Virgin Airlines flight, or visitors to the Ace Hotel in New York, United States (U.S.). According to Product Manager for Google Heaven Kim, this is one way Google promotes its Chrome-based netbooks. This promotion starts since July 1, 2011 and will expire at the end of the summer. Since Thursday, Virgin Airlines has made an announcement regarding this facility. The airline advertises that passengers can sign up for a flight between San Francisco, Chicago, Boston and Dallas as well as check the flight route using Chromebook. Quoted from PC Mag, Virgin Airlines does not explain the details of the type that will be available Chromebook. 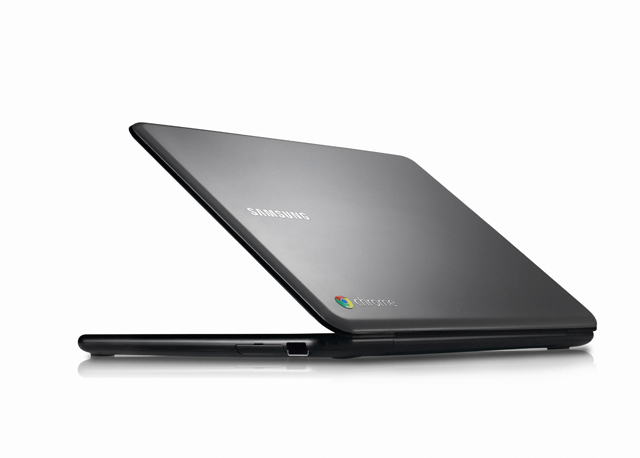 However it is probable that they provide is Chromebook Series 5 of Samsung. However, Acer is also reportedly Cromia would be presented as well. Both are now available for pre-order at Best Buy. Chrome is touted presence will enliven the universe increasingly computer OS. Chrome laptop release even considered as an open challenge to the incumbent computer operating system market, Microsoft. When compared with Microsoft Windows, OS Chrome has some fundamental differences. Laptop Chrome will integrate with Google online services that cloud-based. Various applications in OS Chrome will depend on internet connection to operate. OS was touted Chrome operates like a web browser, in which the application in it connected directly to the web, as well as data storage. Google claims Chrome OS allows users because of its function directly on the Internet, do not need to bother installing the software, install anti-virus, back up files and so on.